Olive Garden offers a twist on classic spaghetti with the introduction of new Deep Dish Spaghetti Pies, which are basically spaghetti casseroles made with pasta, cheese, and bacon baked in a flaky deep dish pie crust. 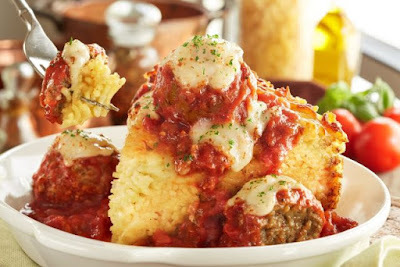 There are two varieties of Olive Garden's Deep Dish Spaghetti Pie: Meatball and Chicken Alfredo. Both feature the same base of spaghetti, seven cheeses, and Italian bacon baked in a flaky crust but the Meatball version comes topped with meatballs (of course) and meat sauce, while Chicken Alfredo comes topped with grilled chicken and Alfredo sauce. The chain is also debuting another new spaghetti option: Spaghetti Rosso with Chicken & Bacon. It features tomato-infused spaghetti with grilled chicken, bacon, red peppers, tomatoes, and asparagus tossed in a Parmesan pesto sauce. 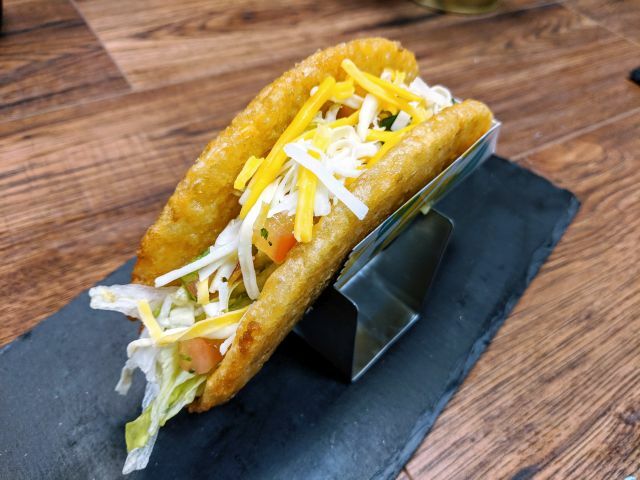 - Spicy Calabrian Chicken Breadstick Sandwich - Lightly breaded, fried chicken tossed in spicy Calabrian sauce and served with tangy gorgonzola sauce in between two halves of a breadstick. 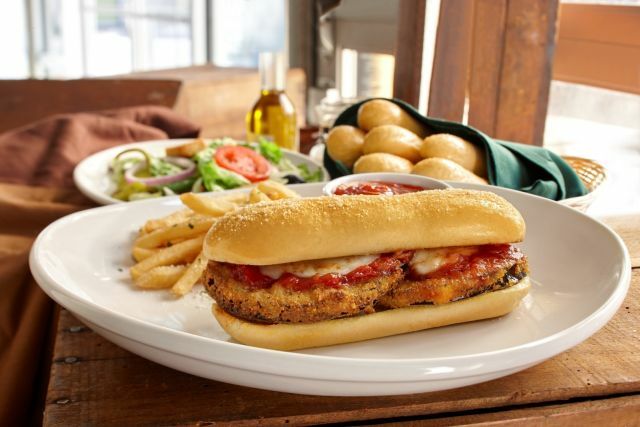 - Eggplant Parmigiana Breadstick Sandwich - Breaded fried eggplant with Italian cheese and marinara served on a breadstick.